Fort San Luis Chapter of Wakulla was organized on September 22, 1953. Katherine Inglis Lewis, organizing Regent, along with other junior members from the Caroline Brevard Chapter, created the Fort San Luis Chapter for working women. To this day our chapter meetings are held on Saturdays, September through May, so that chapter members who work can attend and participate. The chapter has a strong connection to Florida State University, as chapter members past and present, are students, faculty, employees and wives of FSU staff. In 1972 the National Board of Management approved the change of location of Fort San Luis Chapter from Wakulla to Tallahassee, where we are located today. 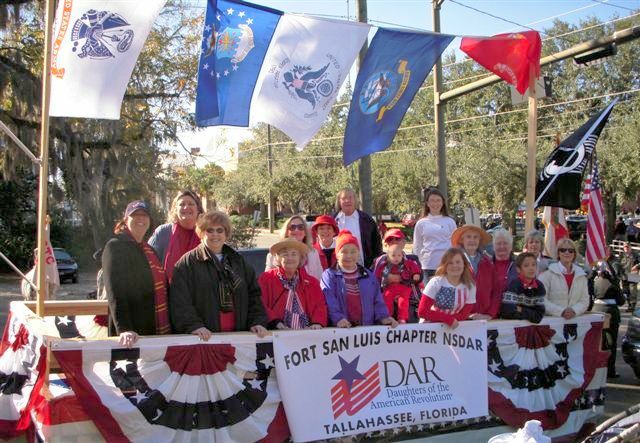 For over 55 years Fort San Luis Chapter has served the Tallahassee community and nation by promoting the objectives of the national society, Education, Patriotism and Historic Preservation.